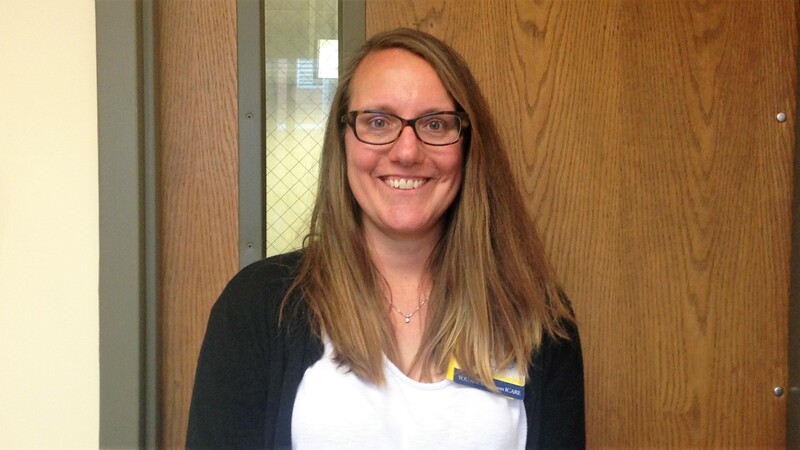 Christine Annis, a Senior Health Project Coordinator in the Department of Neurology, has recently completed a collection of unwanted materials, in collaboration with Klem North Elementary School in Webster, to recognize Earth Day. For two weeks in April 2018, Christine spearheaded the collection of unwanted crayons, markers, highlighters, pens, sneakers, and other shoe related items to stop them from being thrown in the trash. The school did great! A total of 183 pounds were diverted from the landfill. Items were donated to the Crayon Initiative, Crayola ColorCycle, Soles4Souls, and with assistance from Amy Kadrie, to Nike ReUse-a-Shoe. The crayon and marker donation continues at Klem North. Within the University’s Department of Neurology, Christine worked with facilities to have a recycling container added to the kitchenette area so staff could recycle. She has always had an affinity for recycling as much as possible, and has had an interest in finding easy ways individuals could help the environment. Every little bit helps! Know someone who’s made progress with sustainability on campus? Whether their victories are big or small, we’d love to hear about them! Email the Green Reps today.